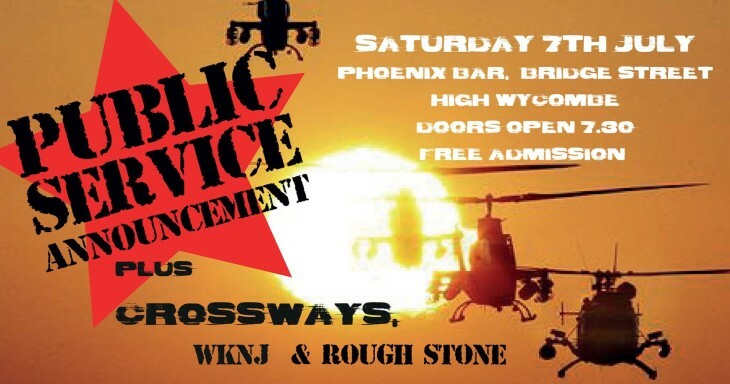 PSA are delighted to be returning to The Phoenix Bar. Come and join us for a night of good old dirty rock'n'roll. Playing songs old and new! Plus Special guests, Crossways, an alternative indie rock band, incendiary punk band Who Killed Nancy Johnson? and Rough Stone. Get there early to avoid disappointment! Free admission as well, looking forward to seeing you all there!! !